1) Begin by making the toffee sauce as it needs time to cool down. Melt the butter and light muscavado sugar in a pan over a gentle heat. Stir it gently and often until the toffee sauce is smooth and well combined. Remove from the heat and set it to one side. 2) Then start to make the pastry. 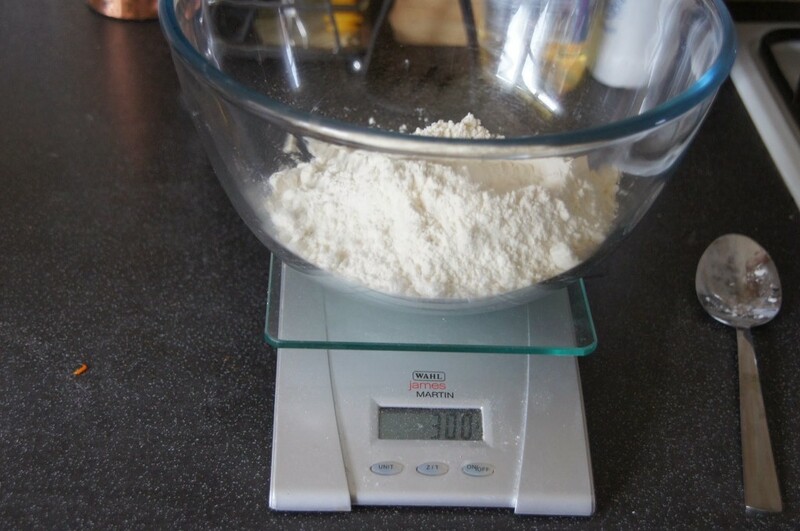 Measure the flour into a large bowl. 3) Dice the cold butter into small pieces. 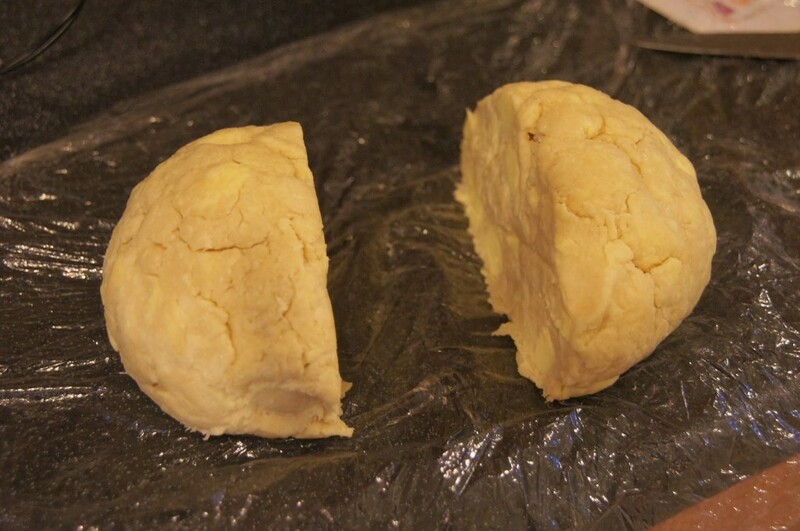 Use a plate to slice the butter and add a spoonful of the flour for the pastry to it. This will help it to stop sticking. 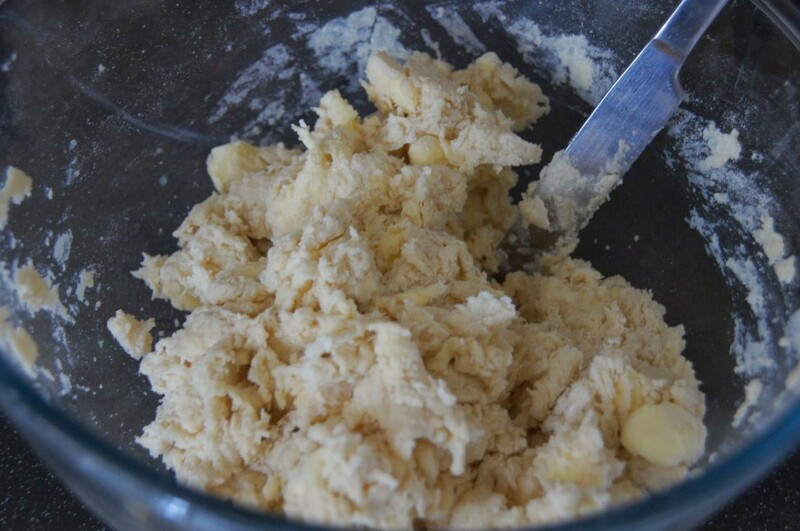 4) Add the butter to the flour and start to rub it in with your fingertips. Only rub it in half way so that you are left with little lumps of butter. 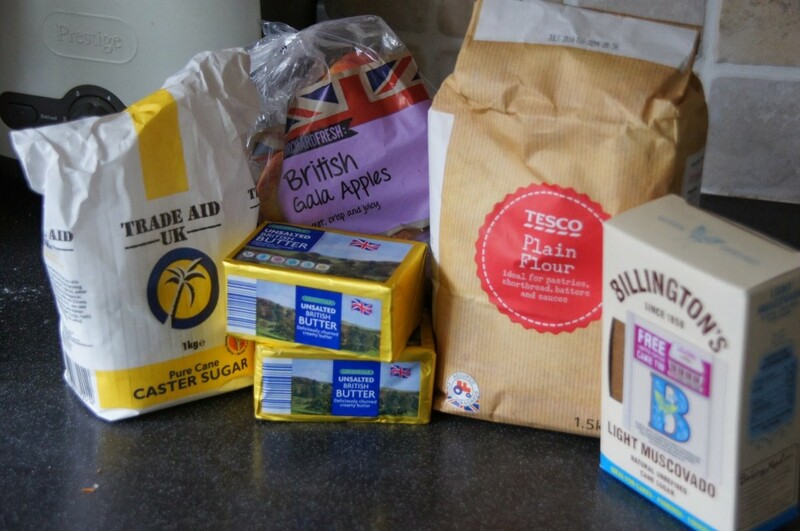 5) Stir through the caster sugar. 6) Start to add the water, a couple of tablespoons at a time. 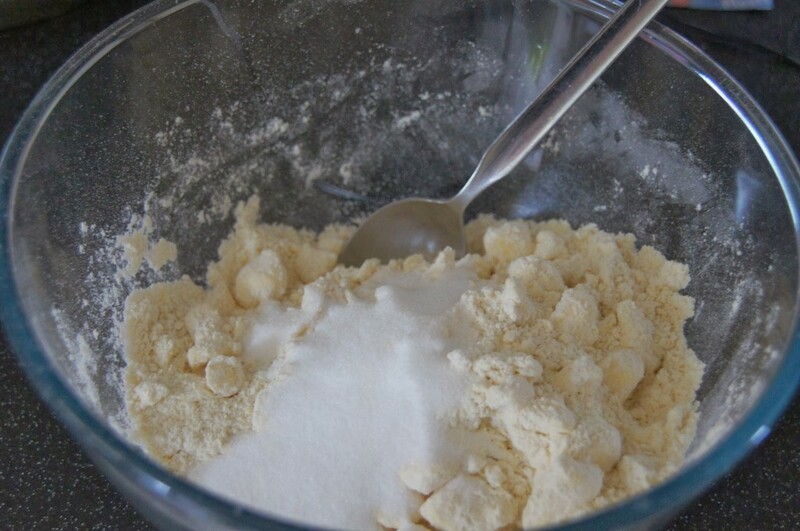 Mix it together using the blade of a table knife until it just comes together with being crumbly. 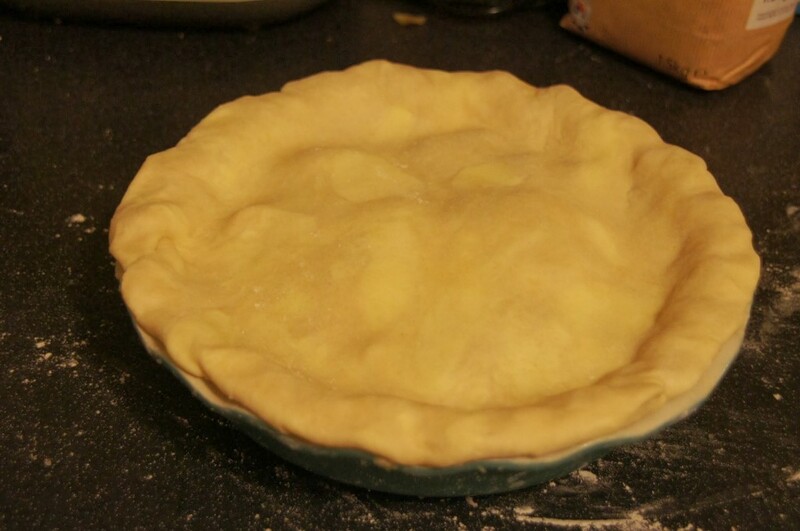 7) Lightly knead the pastry in the bowl to form a ball. Then wrap it in cling film or a freezer bag and place it in the fridge to chill for 1 hour. 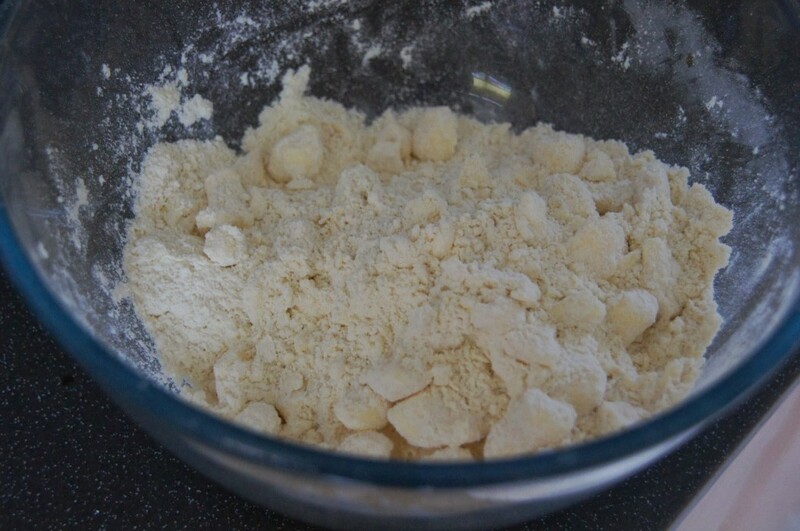 8) Dust your work surface and your rolling pin lightly with flour. 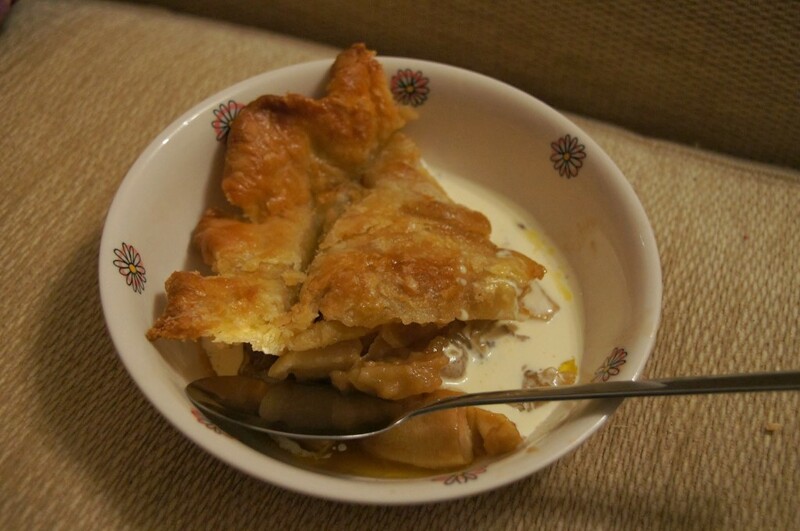 Divide your pastry into two halves. 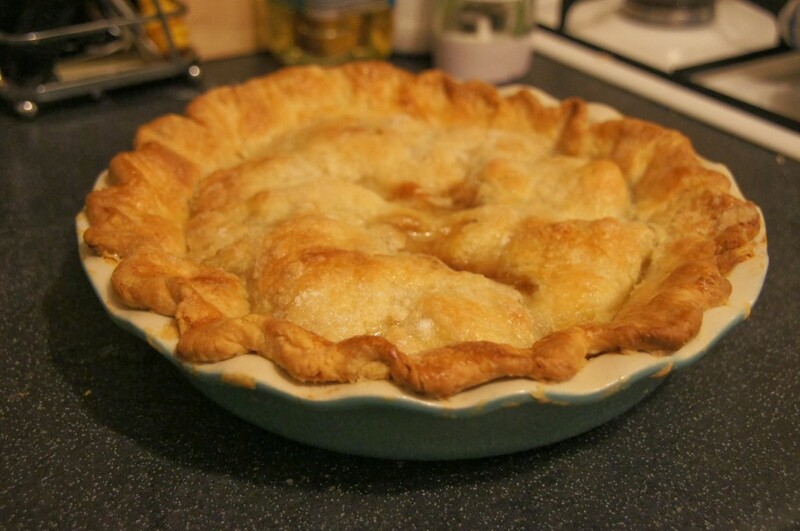 9) Grease your pie tin. Roll out one portion of the pastry and line the base of the tin. Trim off any excess neatly. 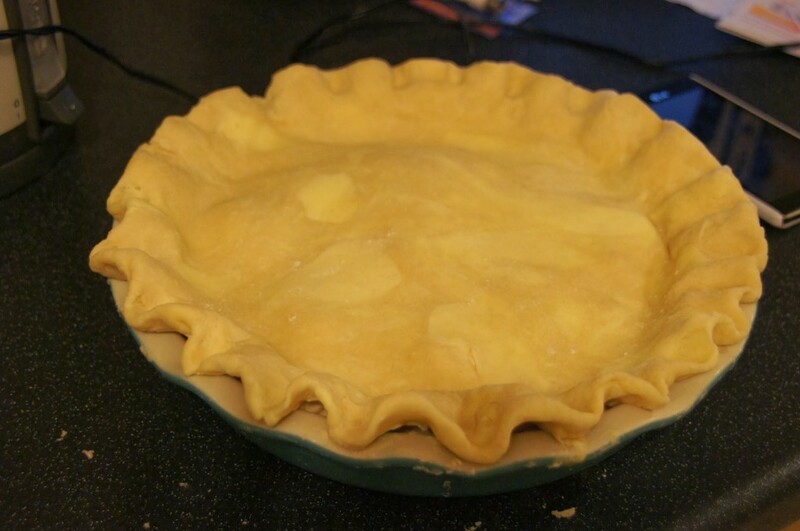 11) Roll out the second portion of flaky pastry and lay it over the top. Use a pair of scissors to trim the pastry so that there is 1.5cm extra over the side of the tin. Fold this extra pastry underneath the lip of the base layer and gently press to seal them together. Then chill the pie in the fridge for 30 minutes. 12) Preheat the oven to 180C(fan)/200C/Gas 6. 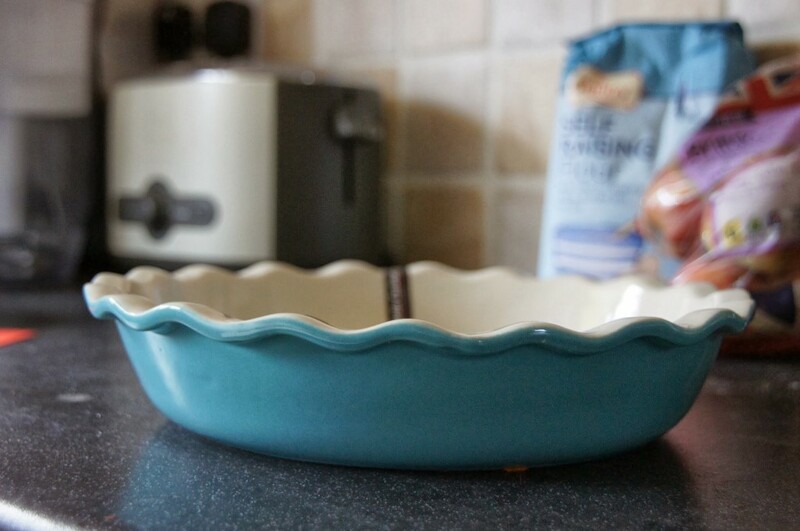 Crimp the chilled pie crust by gently lifting the pastry lip around the edge and using the thumb and forefinger of your left hand to press the top of the pastry over the forefinger of your right hand to make the fluted shape. 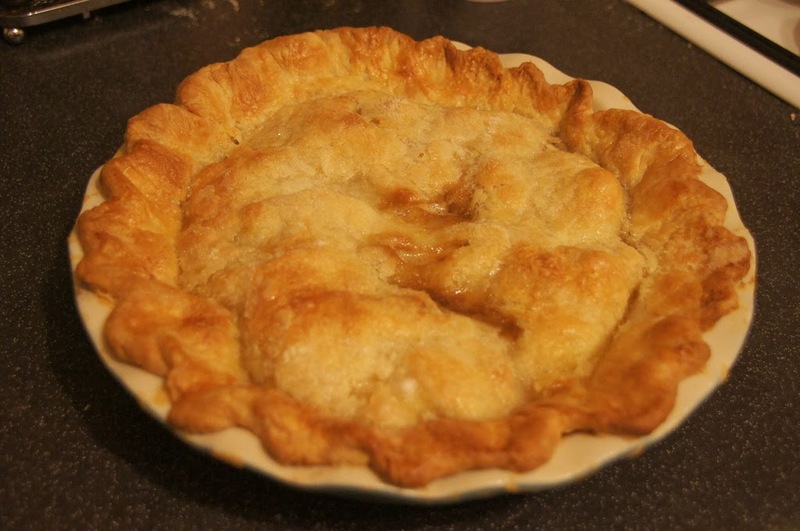 Work your way around the pie – alternatively you can use a fork. 13) Brush the top all over with egg wash and sprinkle with some caster sugar. 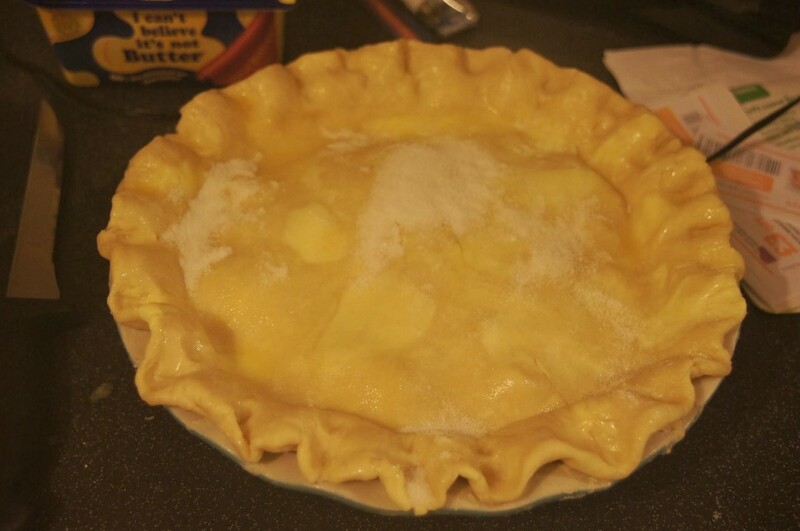 Cut a couple of slits in the centre of the pie with a sharp knife to allow the steam to escape. 14) Bake for 35 minutes until golden brown. 15) Enjoy with cream, ice cream or custard!